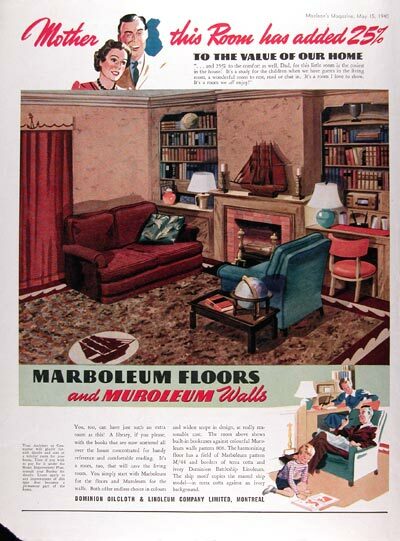 1940 Marboleum Floors original vintage advertisement. Start with Marboleum for the floors and Muroleum for the walls. Both offer endless choice in colors and widest scope in design, at reasonable cost. Dominion Oilcloth & Linoleum Company Limited, Montreal. Excellent: tear lower left corner.